This type of scenario is all too true, and almost every business has experienced it: you wait for payment for an invoice to arrive, and it doesn’t. Your customer could be coming up with a number of reasons for this; either they have not received your invoice, they do not have the same records, they have a dispute with the invoice, or they simply find your invoice unclear. But no matter what reason customers have for non-payment, if you are regularly supplying a company with goods or other services, this could inadvertently affect your business operations. You rely on payments to run your business and buy your own supplies and pay your own bills, and if the payments do not arrive, it could become a complete disaster. From the beginning, you have to set out and establish clear terms of payment with your customers. These terms should be in writing and signed by everyone concerned. And when creating payment terms, make sure you state the company’s legal name and the name of their representative in charge of making payments. Chances are that you will also receive an agreement or contract which your customer has made. Whatever documents you receive from them, make sure that the wording of these documents does not change anything about the payment terms you have set out. If you sign an agreement made by your customer and it has different terms of payment, you may end up having to agree to their terms in the end, as their payment terms will most likely take precedence. If you regularly have to deal with late payments, it may be time to raise another invoice detailing interest as well as charges for late payment and send these to the customer. This way, your customers will know that you do not take late payments lightly, and will make sure they do their part and pay on time for the next invoice. You do not have to do this the first time your customer makes a late payment, however, as this could affect your relationship with them. 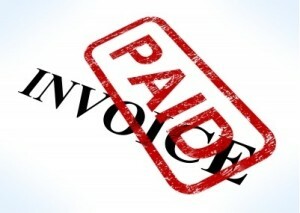 The best time to raise another invoice would be after the second late payment. Yes, your business needs customers – but is it worth having to contend with late payments or non-payments that affect your business’ cashflow and its success in the long run? You have to determine how important your customers are to your business, and if you can afford losing some due to late payments or changes in their payment terms (if they tell you they will take longer to settle their accounts, for instance). You have to weigh the importance of their business versus problems or issues you may encounter with payment. What it all boils down to is having clear guidelines and a clear agreement with your customer when it comes to payment terms. Solid guidance to ensure payments are made in a timely manner.